QUETTA: A young journalist affiliated with a Quetta-based newspaper was shot dead at his home in the Usta Mohammad district of Balochistan on Sunday morning. Zafarullah Jattak, 35, was sleeping in his home at the time of the attack. The deceased was working as tehsil reporter for Daily Intikhab. According to DSP Khawand Bukhsh, armed men barged into Jattak’s home and opened indiscriminate fire on him. “Jattak died on the spot while his killers fled unchallenged,” he said. Police officials are unsure if it was a case of targeted killing of a media person or a murder linked to an old enmity. Representatives of Usta Muhammad Press Club announced three days of mourning for Jattak. 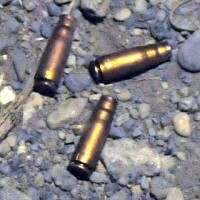 Around 40 journalists have been killed over the past decade in Balochistan. Police and rescue workers shifted the body to District Headquarters Hospital for an autopsy. According to doctors, the 35-year-old victim had received multiple bullets in the head and chest, leading to his death. “Motives behind the killing could an old enmity as Jattak and his brother had complained that someone was threatening their family and had also asked for security,” Bukhsh said.